Enjoy the top 1 famous quotes, sayings and quotations by Marcus Berkmann. Not only do we mock the Eurovision Song Contest itself, but we lampoon other European countries for taking it so seriously, and they all retaliate by voting for each other every year and ignoring our (sometimes) palpably superior songs. 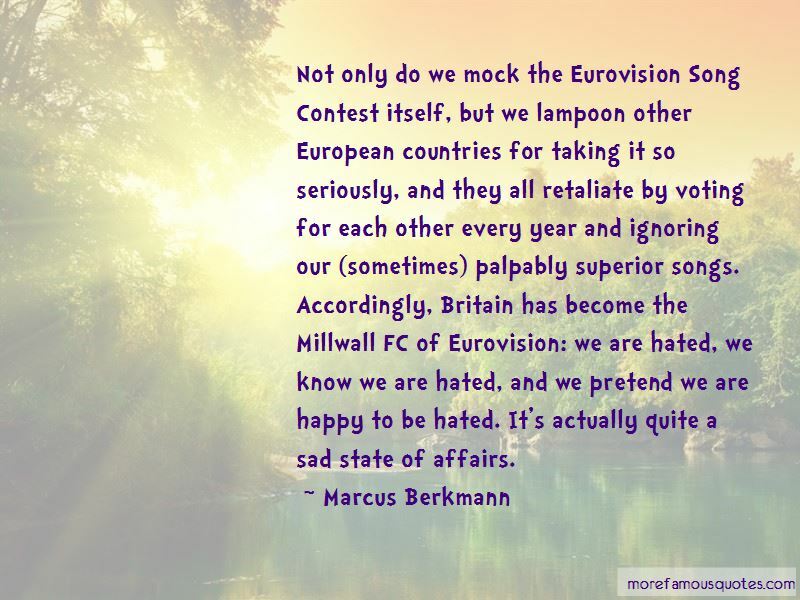 Accordingly, Britain has become the Millwall FC of Eurovision: we are hated, we know we are hated, and we pretend we are happy to be hated. It's actually quite a sad state of affairs. Want to see more pictures of Marcus Berkmann quotes? Click on image of Marcus Berkmann quotes to view full size.